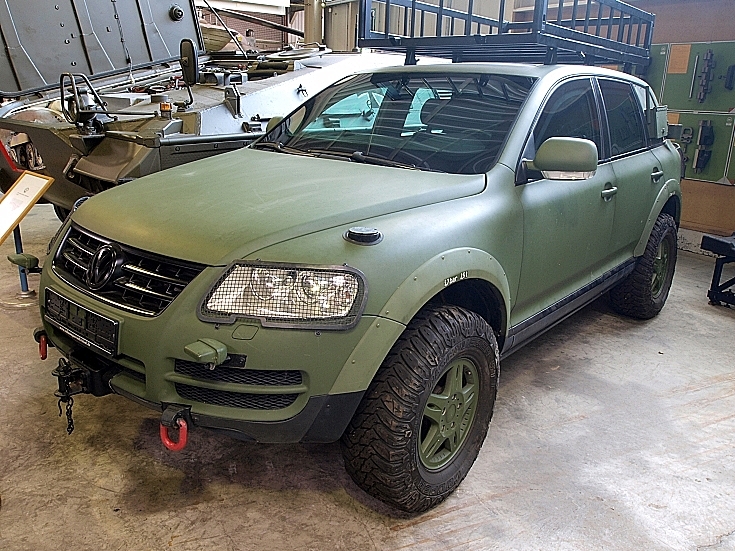 The VW Touareg-Military nicknamed Frettchen has a 5300 kg. heavy Chassis made by Farmington Automotive GmbH, It‘s armour protects against fire arms and mines. It has a 3liter-V6-TDI engine producing 165 kW which gave it a maximum speed of 160 km/h. Because it did not meet the demands in the first test, it was pulled back from the competition by VW in November 2007.